While it’s great to focus on the amazing vehicles Honda is currently producing, it’s also fun to look ahead to the future. If you’ve been wondering what new tricks Honda has up their sleeves you’ll be happy to learn more about these 3 new future Honda models and concept cars. Let’s explore them now! There’s not a whole lot of information available on the Honda FCV Concept yet, but here’s what we do know. The FCV will run off of hydrogen and oxygen to create its own electricity. It offers a driving range of up to 300 miles and can refuel in just 3 to 5 minutes thanks to its compact fuel-cell. We expect the FCV to be incredibly spacious with four doors, seating for five, and a window that pans the entire roof of the car. 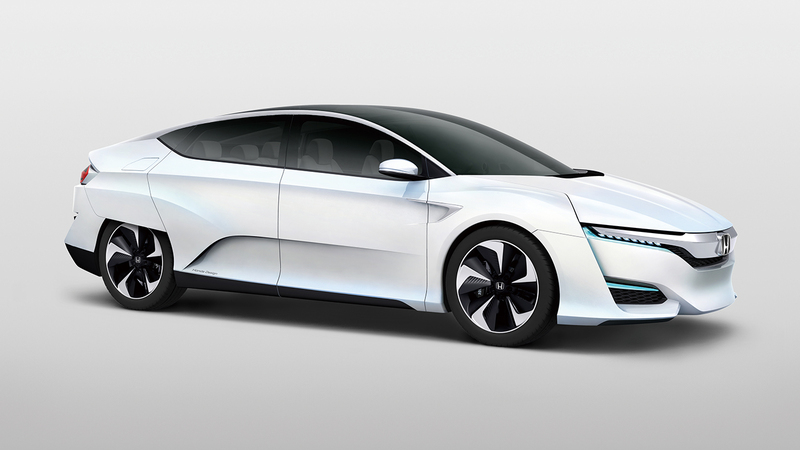 The Honda FCV Concept is anticipated to launch in 2016, so be sure to check back for more info as it becomes available! Much like the FCV concept there is limited information on this new Ridgeline. We do know it will continue to take up space in the compact-pickup-truck market and will still offer seating for 5, a bed-integrated trunk and the unique 2-way opening tailgate. 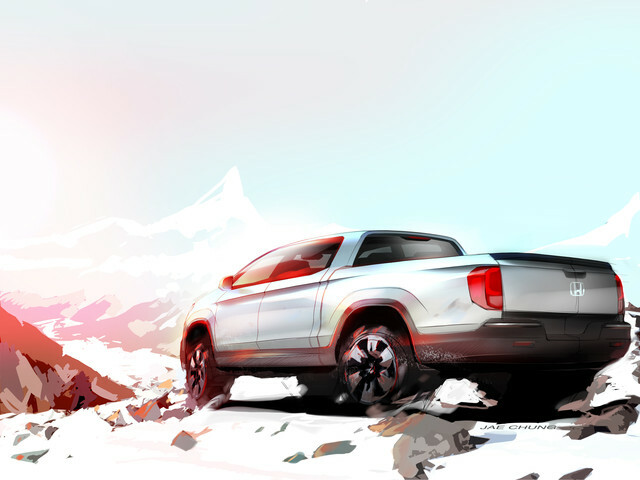 Honda is pretty hush hush, but they have said that the “next-generation Ridgeline will further improve on the space, comfort and utility that made the original one of the most forward-thinking vehicles in its class.” We’ll have to wait another year or two to find out exactly what new features will be offered on the redesign so stay tuned Ridgeline enthusiasts! 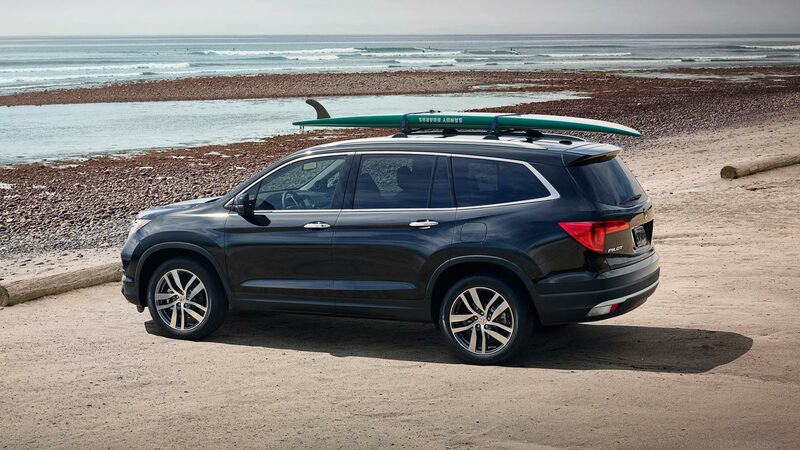 The 2016 Honda Pilot was made for the modern family. It offers three rows of seating in case your family plans on growing, top-class safety features, and connectivity so everyone stays happy. It also offers improved performance and better towing than previous models. Our favorite feature on the new 2016 Pilot is its EPA estimated 27 hwy mpg fuel economy. Raising a family is expensive so don’t waste your hard earned money on gas! Whether you have a family or now, the new 2016 Honda Pilot is the perfect mid-sized SUV. You can expect to find the Pilot on dealer lots very soon. We’ll be updating our blog with more information on all of these models as it becomes available to us so subscribe or check back often to read the latest news. Don’t forget to visit us in person at Airport Marina Honda in Los Angeles, CA to test drive your favorite current Honda models like the new 2016 HR-V crossover or 2015 Civic.